The bat feels a lot more like the famed CF8 with a bigger (2 3/4) barrel then that of the 2017 or 2018 CF Zen. 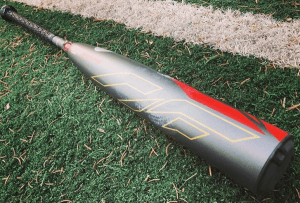 We discuss our experience in this 2019 DeMarini CF Zen Review. We aren’t the only ones to have information about the CF Zen. Other places, in particular those who sell bats, usually have a boiler plate write up on the specs of a bat. Many of those we reference to make sure we are seeing what we should be. Here are some more references for the 2019 DeMarini CF Zen review. The only reasonable consideration to avoid the CF Zen is because of the price point. Granted, the bat’s price is right in line with other flagship bats on the market like the Easton Ghost X, for example. Otherwise, the BBCOR version of the CF Zen is a perfectly balanced ball killer. If you’ve heard durability complaints that is due to the USSSA version. BBCOR is locked and loaded. The CF Zen USA version was late to the game in 2018, and the 2019 version is a remake of that bat. However, that 2018 version was, by some accounts, the best USA Bat on the market. So, the 2019 USA CF Zen is good to go. We’ve seen no durability issues with the USA CF Zen. The risk with the CF series of bats is the durability. But, if you are comfortable dealing with a potential one time warranty then you won’t beat the performance of the Big Barrel CF Zens for 2019. The drop 5, 8 and 10 are the best in the biz and, with the exception of that durability caveat, we recommend them across the board. (Oh, and you need the budget too). Our experience with the two bats pushes us towards the 2019 version--especially in the drop 8 and drop 10. The 2018 version was, in large measure, a repaint on the 2017 CF Retooled CF Zen. The 2019 Zen in the drop 5, drop 8 and drop 10 are all new bats from the ground up and you won't find that dampening ring inside the barrel to make it legal. If you are in the two piece composite light swinging big barreled bat space then the CF Zen has some company. In 2019 the crop consists of Eastons new ADV, Rawlings Quatro Pro and Slugger’s 919 Prime as well as their Meta Prime. Axe bats also makes a two piece composite in the Axe Avenge. Each of those bats, with the exception of the Meta Prime, price out about the same. In terms of performance and feel it just depends on the league we are talking. We think any company is hard pressed to meet the performance standard DeMarini has set in the USSSA space. But, in the USA and BBCOR world we often feel like your guess is as good as ours. Easton’s top end bat for 2019 is called the Project 3 ADV. The ADV comes with a few features we’ve yet to ever see on other bats including a Power Boost knob and an improvement in the connective piece. If you follow any online groups and follow a conversation about the CF Zen you’ll quickly find many complain about the weight of the bat. Despite that reality, the complaints about a bat not weighing what is says it does is a never ending stream on social media. The one we used, for example, weighed 1.5 ounces over the sticker weight (not uncommon). But what does total weight actually mean when you swing it? By itself, quite frankly, virtually nothing. In terms of swing weight, though, the 2019 CF Zen, and any CF Zen or CF_, we’ve ever measured, finds itself right in the mix of the normal drop swing weight of comparable brands. To be specific, we measured the 31/21 CF Zen for 2019 with a 5800 MOI. This is nearly the exact average of every 31/21 bats we’ve ever measured. As such, consider the 2019 CF Zen as an average and expected swing weight of a drop 10 bat in the big barrel space. (Despite the fact it’s total weight is 1.5 ounces over sticker). The 2019 CF Zen is a two piece composite bat built with a big barrel and balanced swing weight. It sits on the easier side of the isle in terms of swing strength and the higher side of the isle for barrel size. The connective piece, called the 3-Fusion, is used on their other high performance bats. Some argue it is the perfect combination of stiffness and give for that butter smash all day long. At release, the 2018 CF Zen comes in a drop 8 and drop 10 2 3/4 barrel. By mid April DeMarini releases a drop 5. Where are the 2 5/8 Barrels? As much gruff as the change in the 2018 USA Bat standard produced, it did do one thing great: consolidate the amount of shelf space needed. There is no longer a need for a 2 5/8 USSSA 1.15 BPF bat. Because, simple enough, any league that allows USSSA 1.15 bats allows them to be 2 3/4 diameter barrels. Hence, the 2019 USSSA bat market will be filled with 2 3/4 barrel bats. The 2019 CF Zen USSSA comes in a drop 5, drop 8 and drop 10 2 3/4 barrel only. We have no expectation they will ever release another 2 5/8 USSSA bat again. (Unless, like the 2018 model, they are left overs from last year). Where is the 2019 BBCOR CF Zen? Expect this to release closer to September of 2018. When we get that in hand we will put up a review.